During the Qing Dynasty, a wide variety of popular religious texts that laid out frameworks of heavenly reward and punishment were composed and circulated throughout the empire. 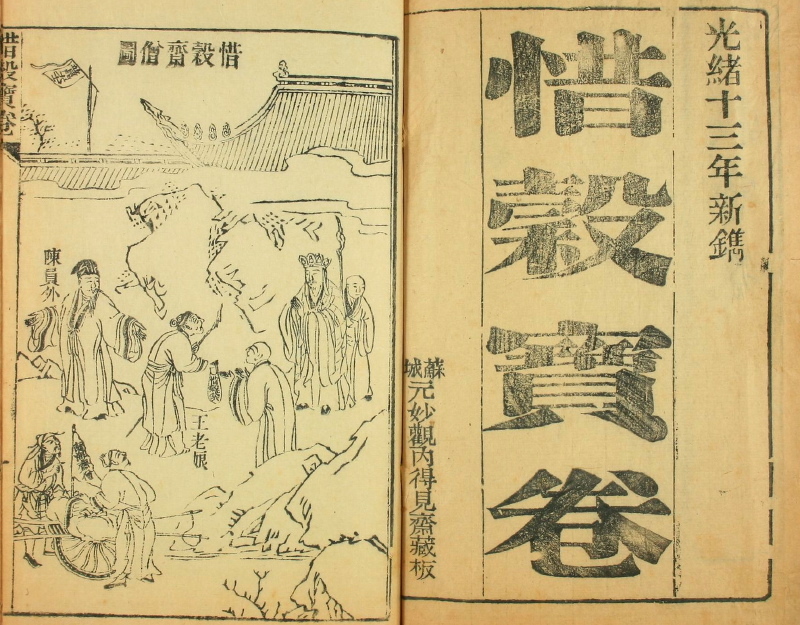 The brilliant array of perspectives such morality texts have to offer on pre-modern Chinese social and religious life and the specialized publishing industry responsible for their prolific spread have yet to attract much scholarly attention. Morality literature addressed both longstanding ethical debates and contemporary concerns, from matters of national consequence to the minutia of household chores. In their contents and the circumstances of their composition and publication, we can see how local religious and philanthropic organizations, which consisted primarily of laypeople from both genders and all social classes, found grassroots solutions to the problems of their era. Elena Valussi, our first panelist, explores the nexus between Confucian elites, morality books and Daoist scriptures in relation to religious publishing in Sichuan, where, in contrast to the coastal areas of China, very little research has been done. Our second panelist, Daniel Burton-Rose, examines the national popularity of posthumous representations of Peng Dingqiu in spirit written shanshu from Jiangsu and Zhejiang. Our third panelist, Katherine Alexander, considers how narratives about female infanticide in 19th century Jiangnan were reshaped across different types of morality literature, particularly in baojuan aimed at female audiences. Together, these papers open new dimensions to explore within the religious and social landscape of the Qing dynasty.